Description Photo courtesy of John Jaeger. Sign held by Micky Rhods reads: "Lake Grove Garde School No. 89 - Apr. 15. 51." 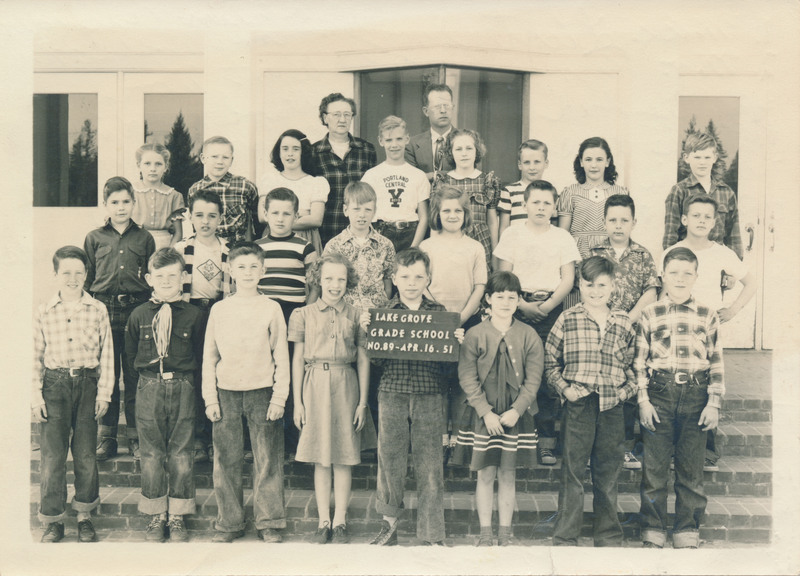 From other photos in the collection it is presumed this is a 4th grade class.